Our system starts to monitor communication with your contact once you add it to the relation list. Enter the relation list and click on the “Add to list” button. Enter the name of the company you want to create a relation with. Next, click on the save button. The new relation will appear as the last position on your relation list. 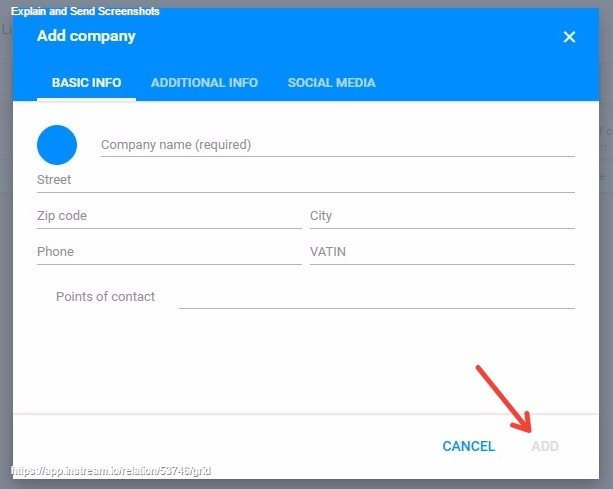 In case you want to create the relation with a company which doesn’t exist in your database, click on the “add new company” button. Learn how to add new personal relation to your list.